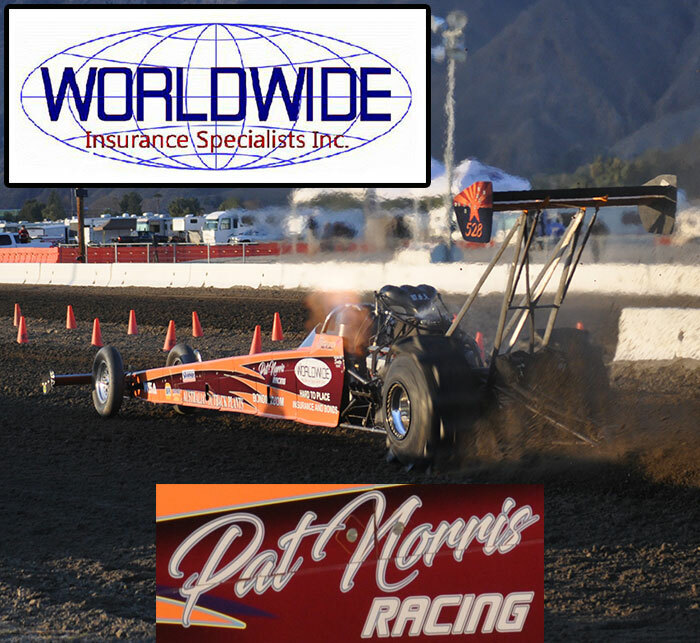 Day two of racing action is complete at the 2013 edition of April Fuels presented by the Southern California Sand Drag Association at the Soboba Casino in San Jacinto, CA. The Top Fuelers made some noise today with Dennis Rieck taking the top spot with a 2.41. However, Dennis made a test pass in the afternoon and ran an incredible 2.277 @ 157MPH with a .965 60’ time. Jim Hammond made the best of a short field in Top Alcohol and threw down a sizzling 2.49 with the April’s Dream Dragster. The super competitive Top Eliminator class will be led into Sunday’s Eliminations by the Red Warrior team of Ron D’Artenay, who took the top spot with a 2.954 on the 2.95 Index. Meanwhile, in the Fast Fours category Mario Tavares is knocking on the door of a world record running a 2.77, just .01 off of the current record. Jimmy DePasse’s 3.04 leads the Pro Mod Unlimited class. The big winner in the Pro Gambler class was Clayton Record, who took the final round win over Justin Adamson. Other winners on the day included Mark Ratliff (Motorcycle Gambler), Mike Ghan (Sportsman 1), Al McKinney (Sportsman 2), Joey Weaver (Motorcycle Sportsman 1), and James Browning (Motorcycle Sportsman 2). Eliminations are on tap for the Heads-Up, Pro Bracket, and Junior classes on Sunday. The first day of action is in the books at the 2013 SCSDA April Fuels event held adjacent to the Soboba Casino in San Jacinto, CA. The Top Fuel contingent is ready this weekend with Dennis Rieck and Marcus Norris doing battle. Norris ran the best pass of the day for TF with a 2.74 on a test pass while both teams struggled in the qualifying round with Dennis running a 3.26 early shut off best. Look for these guys to lay down some nice numbers on Saturday. Jim Hammond ran a 2.58 to lead the Top Alcohol class. An excellent field of 13 competitors made the call for first round of qualifying in Top Eliminator with Ron D’Artenay coming out on top in the Red Warrior with a 3.008. “Super Mario” Tavares led the pack in Fast Fours with a solid 2.80 blast while Geoff Gill topped the Pro Mod Unlimited category carding a 3.07. Lots of great action is on tap for Saturday with the conclusion of heads-up qualifying as well as eliminations in the Sportsman & Gambler categories.